Ontario, CA and Michigan, USA are working on a test drive of an automated vehicle from Michigan to Ontario and back. Ontario’s Magna International and Michigan’s Continental Automotive North America have provided demonstration vehicles with automated features that assist drivers, such as traffic jam assist and lane keeping along with technologies that measures driver fatigue, attention and engagement. The vehicles will start in Detroit and cross the border to Windsor, ON. 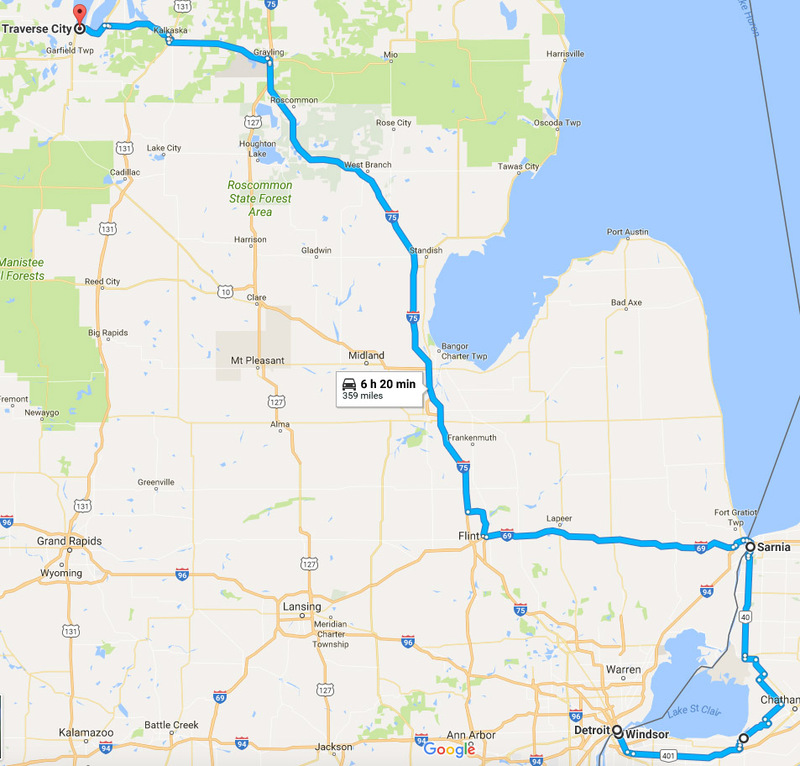 The vehicles will then continue to Sarnia, ON, where they will then cross back over the border and continue on to Traverse City, MI. Ontario and Michigan have signed an agreement to continue collaborating to test, develop, and market automated vehicle technology in order to promote economic growth and innovation. Ontario and Michigan together account for 26 percent of North American vehicle production. In 2016, two-way automotive trade between Ontario and Michigan totaled $46 billion. Magna’s test drive vehicle is a 2015 Cadillac ATS and Continental’s test drive vehicle is a Chrysler 300.